MET trustees meet three times a year and agree on the projects the Trust will support and the level of funding. 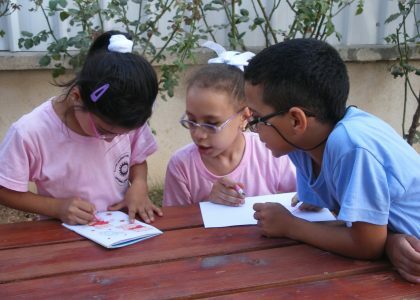 Some of our giving is structured and regular: In The Holy Land, we support the Jeel al Amal Boys Home in Bethany and the Al Shurooq Blind School in Bethlehem with regular, sustainable, grants. 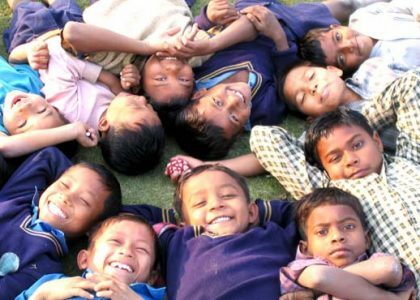 Further afield, in India, our third partner project is the Anand Niwas Boys Home. In all three cases, we are the major benefactor and our quarterly donation helps pay basic running costs. Three quarters of our income is allocated in this way. The other quarter of our income is given in smaller grants to a larger number of projects. All are Christian run, but help people of all faiths without discrimination. Many recipients are people we have met on our travels and are now supported by specific individuals and churches who have developed a personal connection. In these cases MET acts as a conduit to efficiently remit funds to the partner project. A Christmas gift to needy families in Jerusalem and Bethlehem is a highlight of our year. This Christian run residential school in Bethlehem helps visually impaired children become self-sufficient and productive members of society. MET provides regular support. McCabe pilgrim parties visit this inspiring Christian-run children’s home near Jerusalem which accommodates about a hundred children of all faiths. The home is a major MET partner. 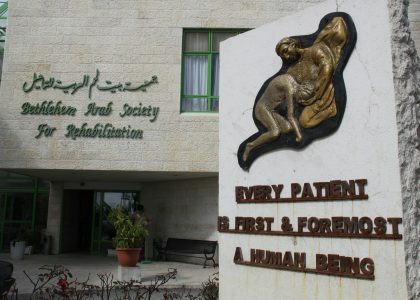 This Christian hospital in Bethlehem mends shattered lives and is reliant on voluntary contributions from people like ourselves. Many pilgrim parties lunch here and see the work for themselves. In rural India, near Lucknow, Revd Andrew McCabe looks after up to two hundred children, all with tragic stories, in a loving Christian environment. MET provides half of the budget. 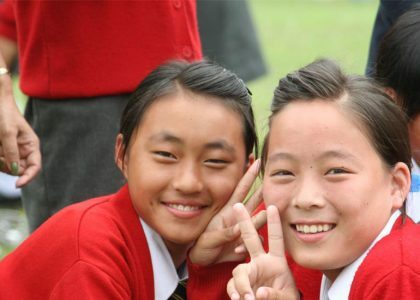 An Indian school with a one hundred year Scottish Christian heritage, the Homes in Kalimpong still cares for neglected children from Calcutta. MET sponsors five children. 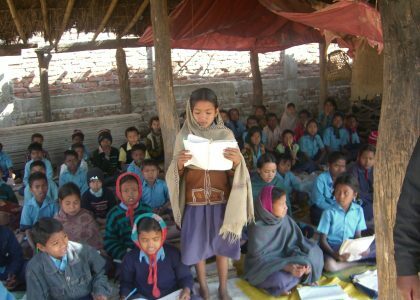 The Tharu live in twenty six remote villages covering both sides of the India Nepal border with no active schools or health care. MET is partner in a project to set up a health centre. 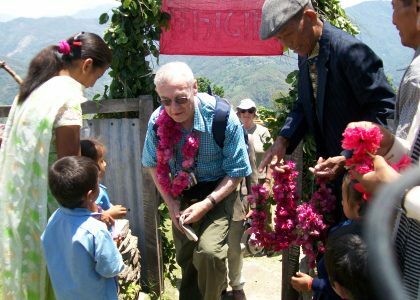 Twenty years ago MET financed a new school in Nepal resulting in enrichment for so many people including the pupils, the villagers and McCabe travellers who regularly visit. The McCabe family has a history in India dating back to 1921 when Alistair McCabe’s grandfather travelled to Bihar as a missionary with the Regions Beyond Missionary Union. 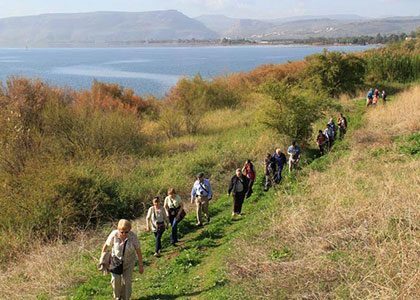 In February 2018, we will conduct our 4th McCabe Educational Trust Sponsored Walk as part of an eight day subsidised Holy Land pilgrimage.